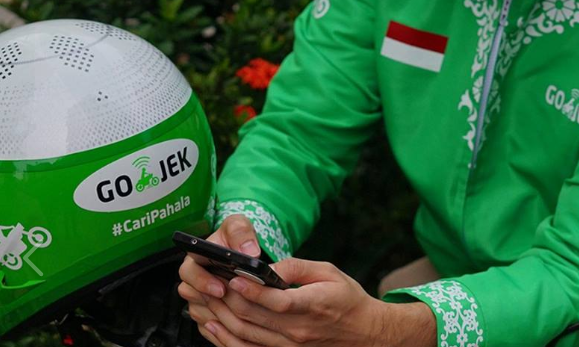 GOJEK’s entry into the Singapore market no doubt caused a stir, and this was further propelled when the ride hailing app took over the wall spaces and bus shelters across Singapore to promote its entry into the market. Working with BLKJ for its creative in Singapore, the ride-hailing app cheekily took jabs at its competitor Grab in the market. While the Indonesian unicorn start-up chose to work with an external creative agency in Singapore, in Indonesia, the internal structure is set up in a different manner, said VJ Anand, ECD of GOJEK. Anand who joined the firm from BBDO Malaysia in March 2018 said the internal creative team, known as Creative Labs, is set up similar to an internal creative agency and houses over 115 staff. It has a total of four departments working together – namely social, digital, events, production, in-app content and activation, as well as the group of creatives. He added that on a day to day basis, the creative team works hand in hand with the internal marketing team to create out of the box ideas. With the power of data in hand, and a team in-house, the creation of content and promotion is one which is much smoother. Coming from a traditional creative agency background, Anand said that he has always been somewhat aware of the demands and expectations between creatives and clients during briefings. But having a team of creatives in house breaks down the barriers as teams sit together and brainstorm. “The fact is, an internal creative team is not seen as a third party. As such, data can be shared more openly and ideas can be bounced off without fear of judgement,” said Anand. Speaking about some of the campaigns done by the in-house team, Anand shared how the team in Indonesia created a new feature on the app during Ramadan last year. This was created after seeing a trend of Muslim passengers taking rides to mosque for prayers in the morning or in the evening during Ramadan. The team decided to place a “shuffle card” in the app that allows users to search the nearest mosque and the team at GOJEK coded the feature into the app within a week. Having internal agencies and creatives is easier in that manner as there is a common goal and there is no hidden agenda. Data can be shared within the team, ultimately producing sharper work. “Simple things such as why consumers ordered a certain dish, say ayam krepek, for lunch is the kind of insights we use to create ads and banners that resonate with consumers. These are the client insights you could never get when work externally in a creative agency. Agencies only have data on how consumers consume media or the kind of creativity they get but they don’t get details of the product,” he said. As the industry moves towards becoming more tech-savvy, Anand predicts that there will be a rise in tech companies which will hire creative thinkers who can read and visualise the data to create compelling content. Quick to add that by no means is this the end of creative agencies, Anand explained that brands will still work with agencies but will also recruit creative thinkers in-house as consultants. Whenever we are not capable of upscaling, we will work with local creative agencies in that market. Anand said that a key point brands need to remember, but often forget, is the need to be relevant locally. When asked how and why GOJEK decided to work with an agency for the Singapore market, Anand explained that the internal creative team in Indonesia had their hands full, and the company wanted to work with an agency which would be able to share deep market insights. He added that it was a tough call between BLKJ and several other agencies but ultimately, BLKJ’s hunger and heart for the account won them the remit. This led to a close working relationship for the Singapore launch. “We are taking on a similar model with our agency partners in Thailand. Essentially, we can work as an in house agency to help the external agency sharpen the ideas with our knowledge of data,” Anand said. Facebook's new meme hub: Can it LOL its way back to the hearts of teens? This is under the the concerted efforts of Ucommune and Talenta. ..
Genting Malaysia is taking a new direction to appeal to the youth, in an attempt to stay relevant and fresh in people's minds. ..
"When in doubt, always go back to the basic human truth - is it easy? Is it quick? Is it understandable? "..